Biggest drama on big stage when Oscar host Jimmy Kimmel announced best picture La La Land immediately said no no its Moonlight. Barry Jenkins’s movie Moonlight wins Oscar this year. It stars Trevante Rhodes, André Holland, Janelle Monáe, Ashton Sanders, Naomie Harris, and Mahershala Ali. Moonlight star Mahershala Ali win Oscar for supporting actor. At Oscar Moonlight wins three award Best picture, Best supporting actor and Best adapted screenplay. 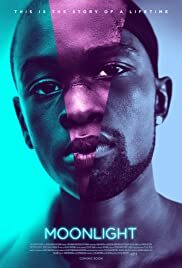 Moonlight already won Best motion picture at 74th Golden Globe award. Best actor award win Casey Affleck for the Movie Manchester by the Sea. Best actress award win Emma Stone for the movie La La Land.